It's my favorite time of the year, Christmas! And this means that department and specialty stores are all dolled up with enchanting holiday window displays. While we are all hustling to finish our shopping etc I wanted to take some time to admire some magical holiday windows. 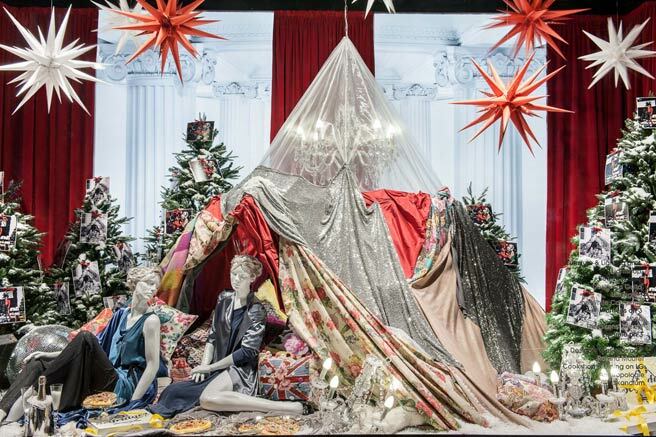 Visionary Bruce Weber created my favorite, the windows of Selfridges in London. Based on the idea of a lavish childhood fantasy that a department store comes to life late on Christmas day and is filled with unlikely happenings. 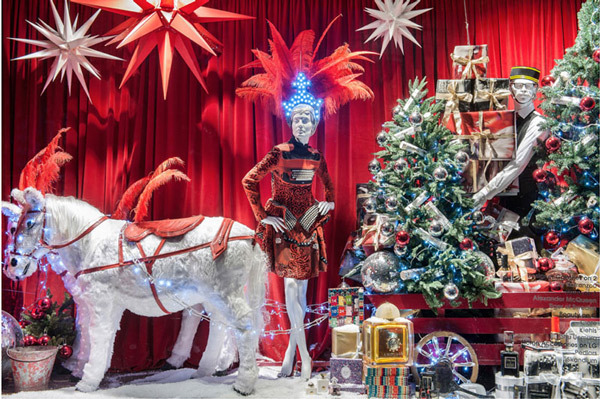 This year Harrods' holiday windows have a Disney theme and feature beloved characters such as Cinderella and Pocahontas dressed by a fabulous designers. Above, Repunzul lets down her hair in a dress by Jenny Packham. What lady doesn't love a little blue box under the tree? Tiffany's windows have an aura of understated elegance. 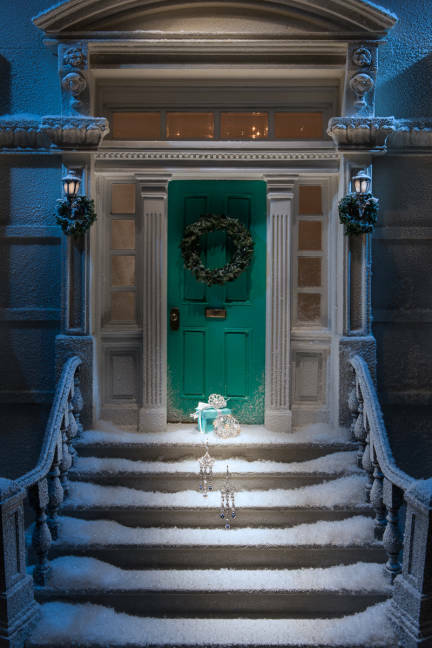 Scenes representing the idea of coming home for the holidays on the Upper East Side highlight beautiful jewels. 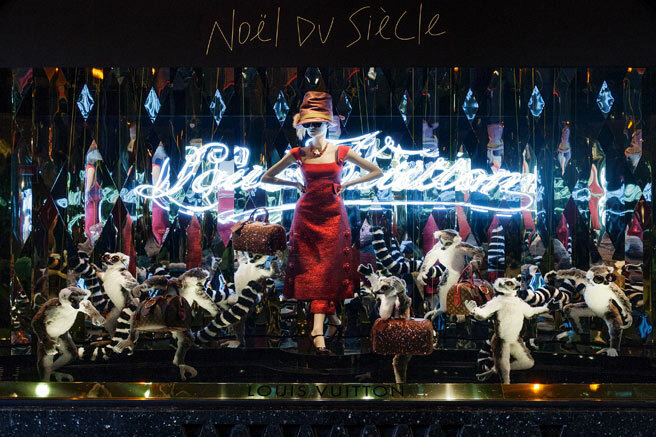 To honor Galeries Lafayette's history of travel, Louis Vuitton designed the holiday windows of the Parisian flagship store this season. 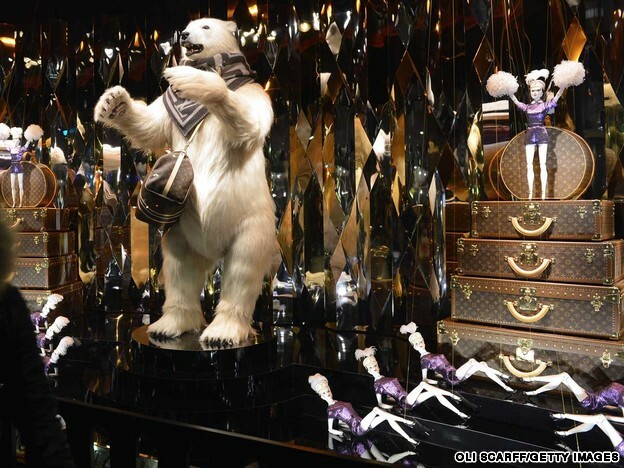 Exotic animals and dolls mingle with vintage Louis Vuitton luggage to create a mystical display. Seeing the windows in NYC is one of my favorite things–they're always so gorgeous! These are all so gorgeous !! Thanks for sharing!! Love Tiffany's the Most ! tumbled on your blog and found it so interesting we are following you now ! Hi Chelsea! I was in both London and Paris for the holidays so was able to see both the Harrods windows in London and the Galleries Lafayette displays in Paris. Brilliant and super festive..... Love this post! I've been following your blog for a while now, and I love it! It would mean the world to me if you would follow me on my new blog! I will of course follow you back with my new blog! 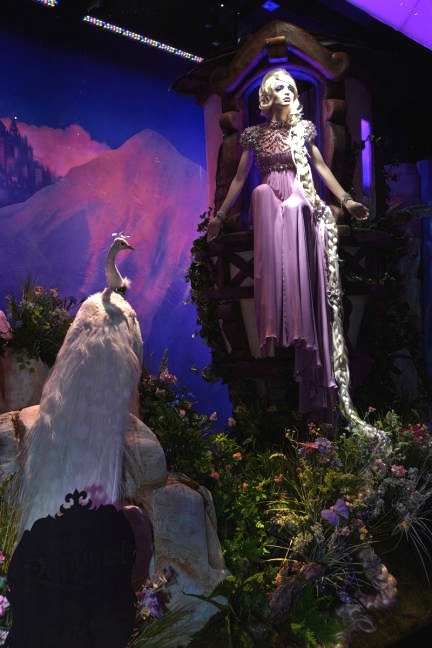 Gorgeous Window Displays. Thanks for sharing. I like your all window displays .